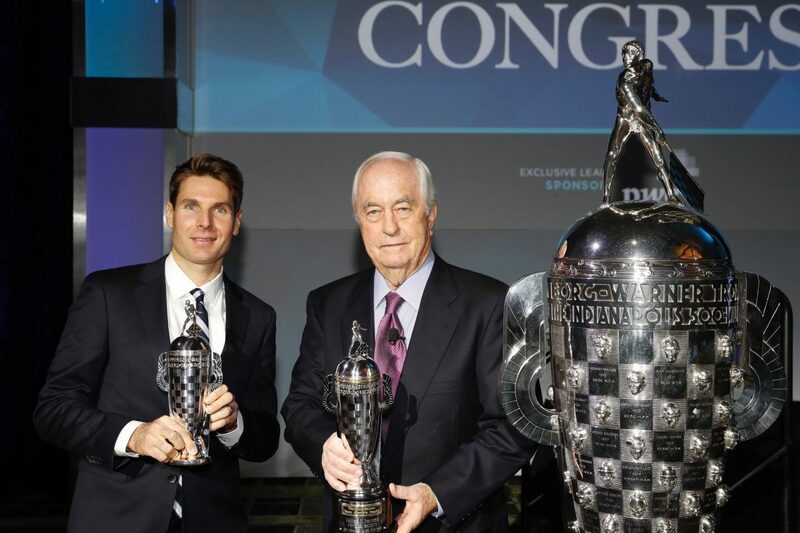 Will Power and Roger Penske have received their miniature replicas of the famous Borg-Warner Trophy following their victory at the 102nd Indianapolis 500 last year. Both Power and team owner Penske were honoured at the Automotive News World Congress in Detroit after Power became the first Australian to win famed race. The Toowoomba native unveiled his likeness on the full-size Borg-Warner Trophy at the Indianapolis Motor Speedway Museum in December. Meanwhile, Penske took home his 17th ‘Baby Borg’ trophy as the team owner with the most wins at the Indianapolis 500. “It’s a big deal and something I’ve been thinking about for the last few months,” said Power. “I didn’t realise you get your face on the ‘Baby Borg.’ Not many people get to do that and not many people have one. “It’s a real honour to do it in Detroit, with Roger Penske, with the General Motors people there. It’s a big honour all the way around. “The first win back in 1972 with Mark Donohue started the progress we have made with the race team, but to be here in Detroit tonight at the Automotive News World Congress is a key,” added Penske. “It’s a great time to get the award in Detroit. “It’s not for me, but the drivers and the hundreds of people who have supported the race team over the years. The 103rd running of the Indianapolis is slated for May 26 (local time), 2019.